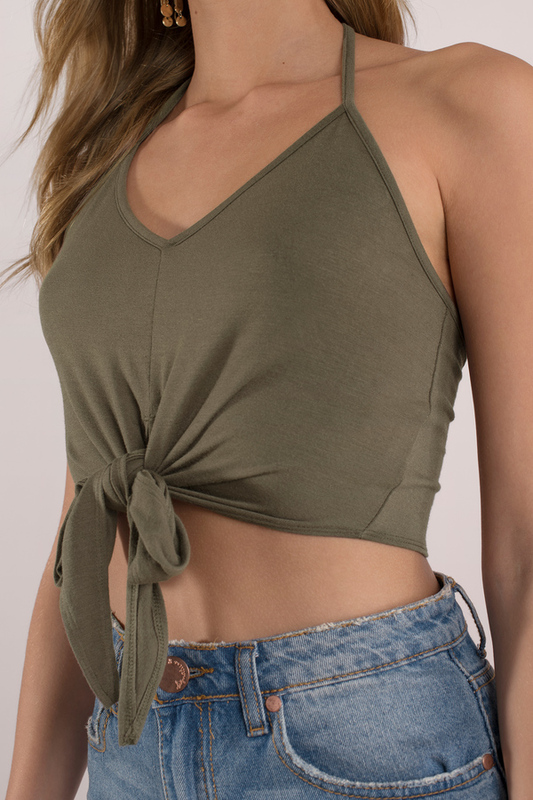 Check out Tobi's Bare Necessity Halter Crop Top Knotty and nice in the Bare Necessity Halter Crop Top. 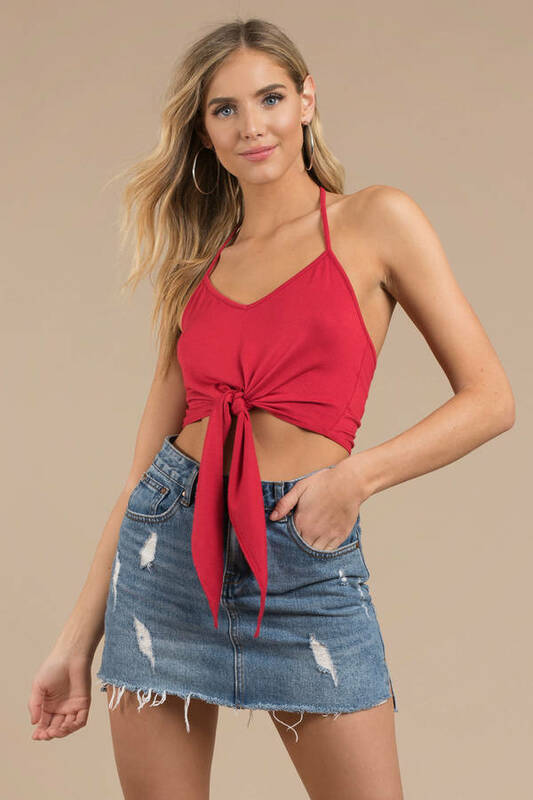 This v neck halter crop top is just what you need for this season's tie up trend, featuring an adorable front tie that'll be the center of attention. Style to your liking with your favorite accessories and make it pretty with a fitted skirt or create some edge with distressed denim. Knotty and nice in the Bare Necessity Halter Crop Top. 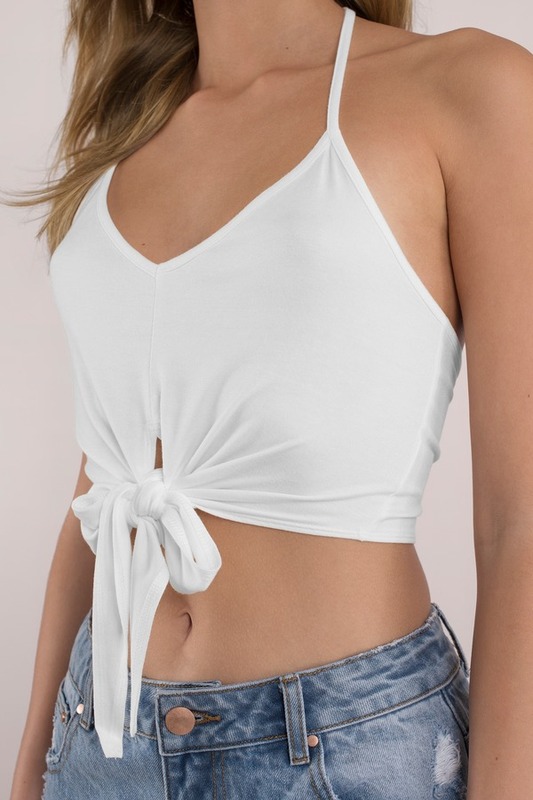 This v neck halter crop top is just what you need for this season's tie up trend, featuring an adorable front tie that'll be the center of attention. Style to your liking with your favorite accessories and make it pretty with a fitted skirt or create some edge with distressed denim.